How do you play a Bubble Bobble game with only two buttons...? Er, uh, never mind. I did download Rainblocks out of curiosity and although I usually hate sliding tile games with a burning passion, this one held my attention for a while. The fact that there's only nine squares instead of sixteen really helps. You only get frustrated when annoyances like Time Downs, Locks, and Mud come into play. What's your minimum spec for this game? I've thought about picking up an iPod Touch for shiggles, but Apple does a pretty good job of forcing users to stay up to date with the hardware. With Android you can lag behind a few years. Game runs fine on the iPod Touch, it's been tested on both 4th and 5th gen..
Keep your fingers crossed, Simon! That's where the strategy comes into play, Simon. All you can do is move to the right and left. Each stage has a hole at the bottom and top, just like Bubble Bobble, so you can drop through the bottom and end up at the top. Also, your character shoots a star every time you drop from one level to the next (and you can direct this star by pushing left or right). So, you have to use quite a bit of strategy to take out all of a stage's enemies and successfully complete a stage. As for rainblocks, I'm glad you enjoyed it--at least kind of :) My favorite thing about it, I think, is that there's a pretty strict time limit. 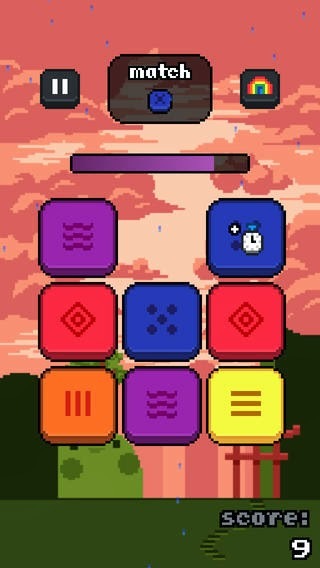 Too many matching puzzle games have time limits that are too long, in my opinion, which makes them feel interminable. I like the time downs and such, too, as they add some real challenge to the proceedings. I downloaded Beattrix without even finishing reading your review. That's how much I loved what you had to say about it. I went on to download Tumbledrop, too. And, just because I've never played one, I got Zookeeper, too. 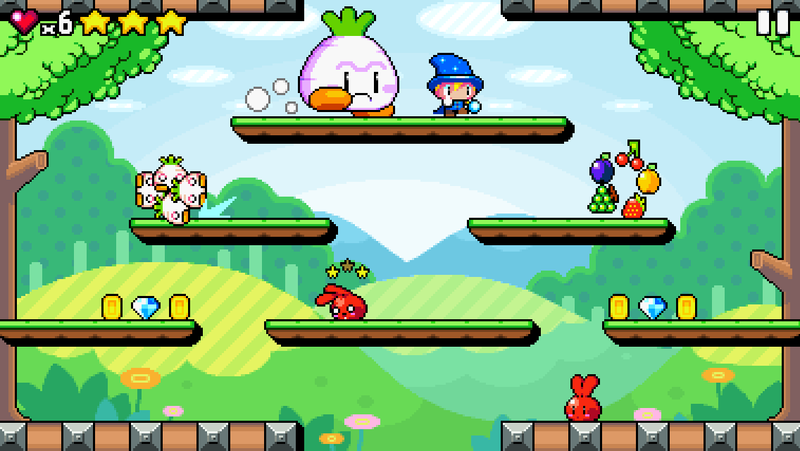 Did you see that the iOS store has Zookeeper Battle, as well? Not sure what that's about. Er, sorry, Jess. I replied to this while at work, where I was a bit frazzled today. Doh! I zipped through the free levels Tumbledrop had to offer. Fun, but I wouldn't pay for it. 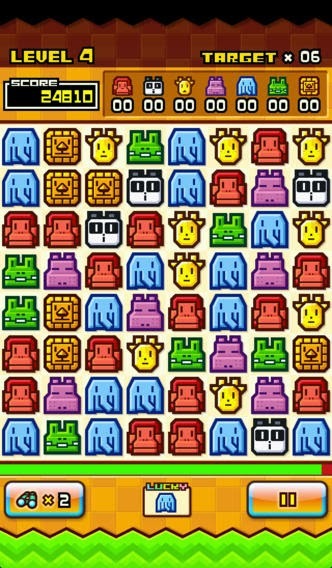 Zoo Keeper is fun for a bit. Without more modes, as you said, it's probably lacking something. BATTRIX, however, is brilliant. I love the weapon leveling and the cute little enemies. I can see it's going to be one of those games that's a grind-or-pay sort of thing, which is sad, since it's a great concept. Thanks for your early impressions, Justin! I really like BATTRIX, too. I can't say how long the love will last, of course, but for now I'm enjoying it in fits and starts.